Don't get nervous when your pet runs late ! Most pets became beloved family members but still demand their freedom. 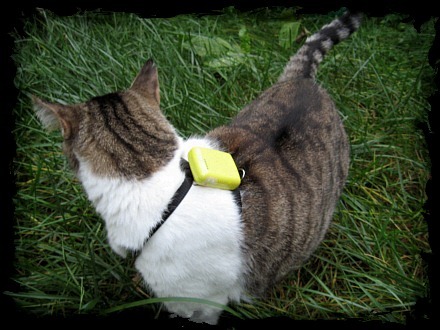 Our most advanced product "CatTrack Live 3" will help both you and your pet. Using CatTrack Live you will be able to locate your pet by simply calling it with your cellphone or through our tracking website. You will be able to see the position on a map. 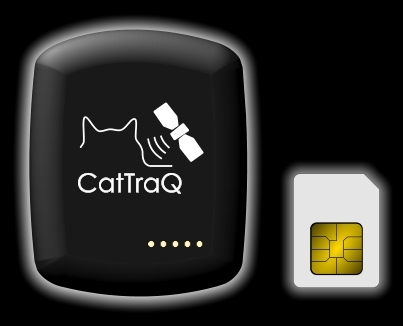 Placed on a collar or harness CatTraQ Live is mainly designed for animal surveillance/observation like on cats, dogs and horses. It is also used to find lost animals even in case of accidents with a high impact proof enclosure and last-known-position feature. The device combines a very small size with a robust watertight enclosure, powerful functions and a very good performance/cost relation. This device knows its position by receiving GPS satellite signals and sending the position automatically or upon request using the cellular phone network. By supporting all major phone frequencies the device can be used virtually around the globe. This means the range is unlimited. You get the accurate position no matter if your pet sits in your backyard or is on vacation in Panama ! Each device has ist own ID, no mix-up with multiple devices. Note: Requires SIM card (cellular phone service card). The primary function uses text messages to communicate with the device. 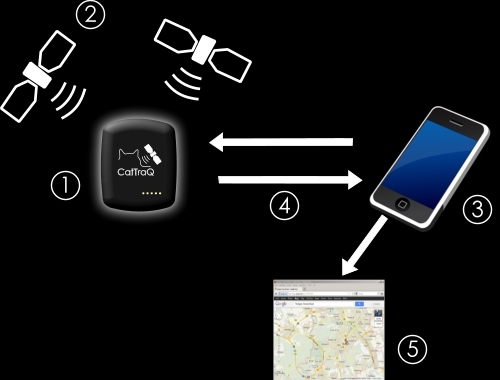 The CatTraQ Live (1) contains a GPS receiver that receives position signals from GPS satellites (2) up in the sky. It also contains technology similar to a mobile phone and waits for text messages. Using your cell-phone (3) text messages (4) containing instructions are generated. An instruction could be for example asking for the current position. This is then send back to your cellphone. You receive coordinates which you simply enter in a mapping service (5) like Google Maps or Bing Maps. You can also configure the tracking device to send a link that - when opened on a smartphone - will display the position immediately. Since GPS satellites orbit the whole earth and cellphone networks are usually always present the CatTrack Live works almost everywhere in the world. The tracking device not only works in manual mode described before, it can also get configured to inform about the position automatically (6) in a certain time frame. Or you can set it up to inform in case certain events happen like the device is leaving a defined area. Using the GPRS function an online tracking via the Internet is possible. 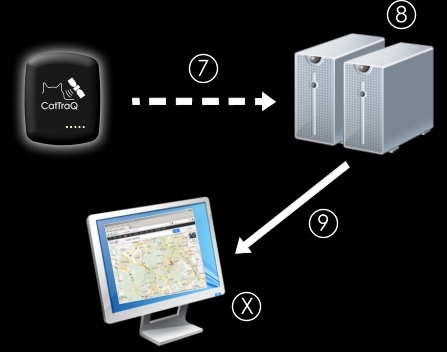 GPRS requires the annual service pack which provides access to the CatTraQ webserver. The function is different from the operation described before. After the device is set up for GPRS it will send position information (7) on a regular base to our internet server (8). You log in to this server through a website and will receive the device position and information (9) on your computer screen/web browser (X). You do not need to stay online, our webserver will record the movement history for later review.